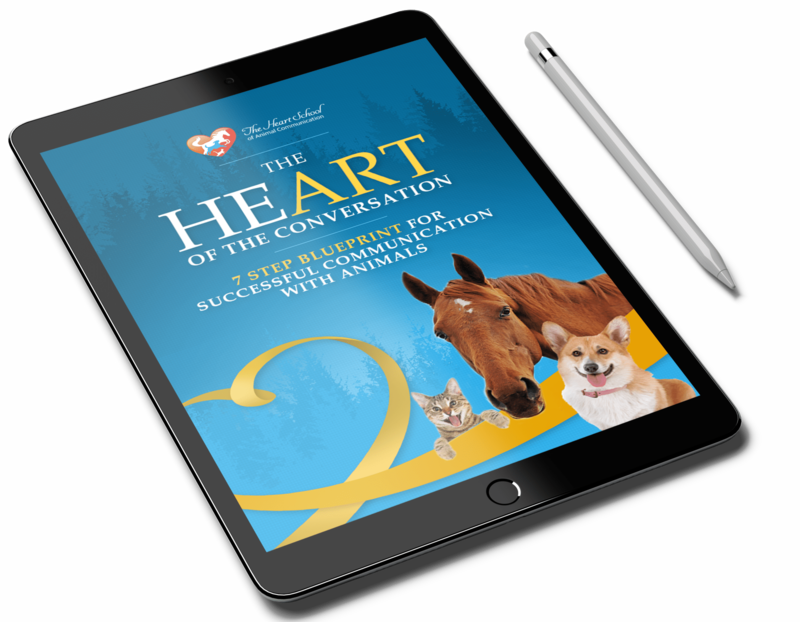 In The Heart School of Animal Communication, your master teacher Val Heart uses her unique, proprietary methods to help you and other animal talk students from all walks of life around the world learn how to talk to animals. Her creative, fun and engaging teaching style comes from over 40 years of dedicated continuing education, her innate God-given gifts, expertise in developing her skills and tons of time-tested experiences, techniques, and tips. With the Heart School, you can’t go wrong because we’re here for you. Soon, by going through Val’s process, you will learn how to talk to animals! Plus, there’s no risk! 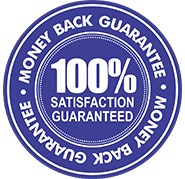 You have a Better Than Free Guarantee. Students discover that she teaches in a gentle, loving, practical and spiritually profound way. They also soon realize that their lives are changing on all levels. That’s because Val’s work isn’t just about the animals – it’s all about helping YOU be the BEST you can be, period. 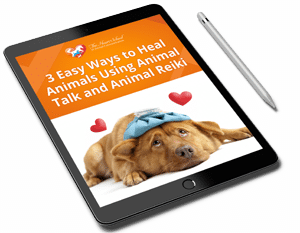 Learning Animal Communication Is Easy As 1-2-3! There are no prerequisites to becoming an animal communicator other than a sincere love of animals. All you need is willingness, commitment and a dedication to learning how. Begin at the beginning with a solid understanding of how this works, the right ways to connect and communicate, how it feels, how to quiet your mind, what to do when you go off track, and how to approach animals, anywhere, anytime, for the best results. Now that you have the proper foundation to build on, it’s time to put your new skills, techniques and love into action! The perfect place to practice communicating with animals is the Animal Talk Coaching & Mastery Club. 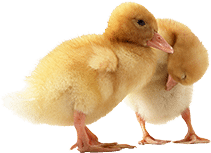 The best online membership community of it’s kind, you’ll find support, answers to your questions, animals to practice talking with, feedback and guidance, ongoing training, and much more. Do what it takes to learn how to connect and tune in and be willing to practice until you master the skill. Platinum Club Membership – Masterclass Series! The highest level of advanced student training especially for students who want it all and/or would love to turn your passion for this important work into your career. With a proper foundation and a place to practice, it’s now time to advance to mastery. Knowing the right questions to ask in the right way and time makes all the difference in the world. Knowing how to apply the art of animal communication to work with pets who are behaving badly, who aren’t feeling well, are in pain or who need your help healing, working with fosters, rescues, abused and adopted animals so they recover and go on to live long, healthy happy lives, talking with animals preparing to make their transition or connecting with them in the afterlife… The gift of animal communication is a very powerful skill. Mastering your intuitive, telepathic skills will forever and profoundly change your life, and all the animals you come into contact with. 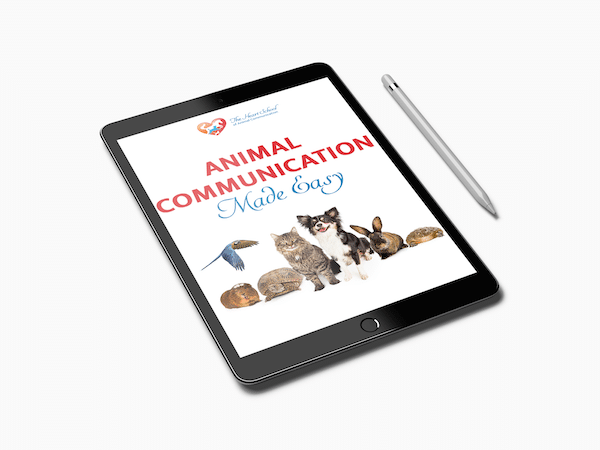 Hidden Secrets to Animal Communication ebook — FREE! 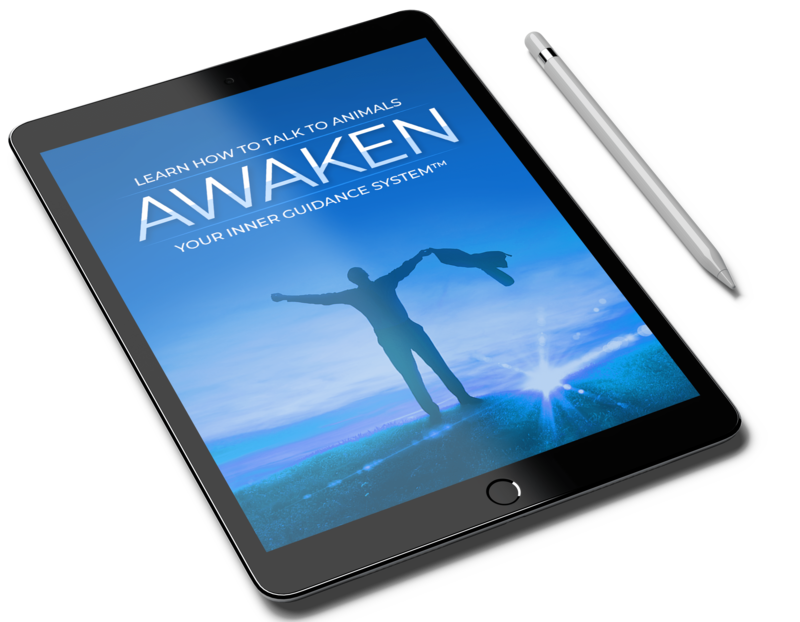 Learn 3 fundamental principles to help you connect quickly PLUS you’ll discover the 3 easy steps to send messages to animals. 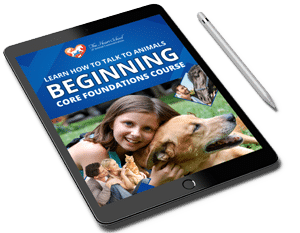 This will help you fast-track animal training and improve behavior, and you’ll deepen your understanding of your animal’s needs so you can be a better companion to them too. A wonderful, experiential introduction to animal communication, you’ll also learn the fastest most direct method of communicating with animals in less than 1 hour! Comes with 3 bonuses to help you jumpstart your intuitive abilities! Get all your basics down in the complete course so you can build your communication skills quickly and easily. You’ll learn important animal caretaking skills AND have a lot of fun too. You’ll discover your Signature Intuitive Style, the nuts and bolts of how information is actually shared telepathically – and how it works for YOU. You’ll learn how to work with animals in person and long distance, how to help ease transitions, and how to reconnect with them on the other side, and much much more! Bonus included: Awaken Your Inner Guidance System course (reg $97). Got your basics down? Now it’s time to practice and grow your skills! 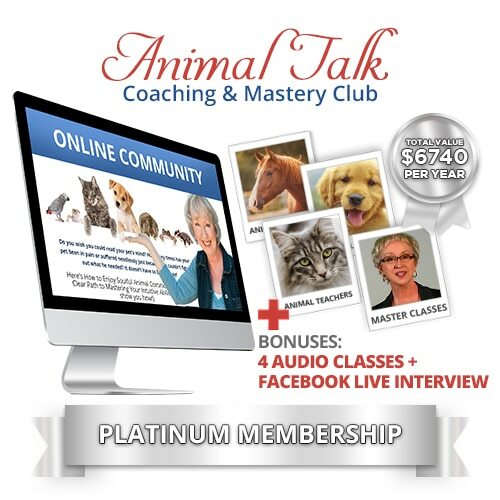 Join me and animal lovers around the world in the BEST online Animal Talk Coaching & Mastery Membership Club! Designed to support you in growing your confidence and accuracy, by helping you master your intuitive abilities with animal communication. Live Q&A Coaching Calls, Masterclasses, ongoing training, animals to practice talking with and get feedback, intuition building resources and much more. 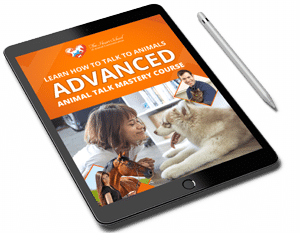 Smart students get expert mentoring so you can go further and deeper into the wonderful world of animal communication. Do you feel the call to make this your career? Is this your passion, helping animals by being their voice? 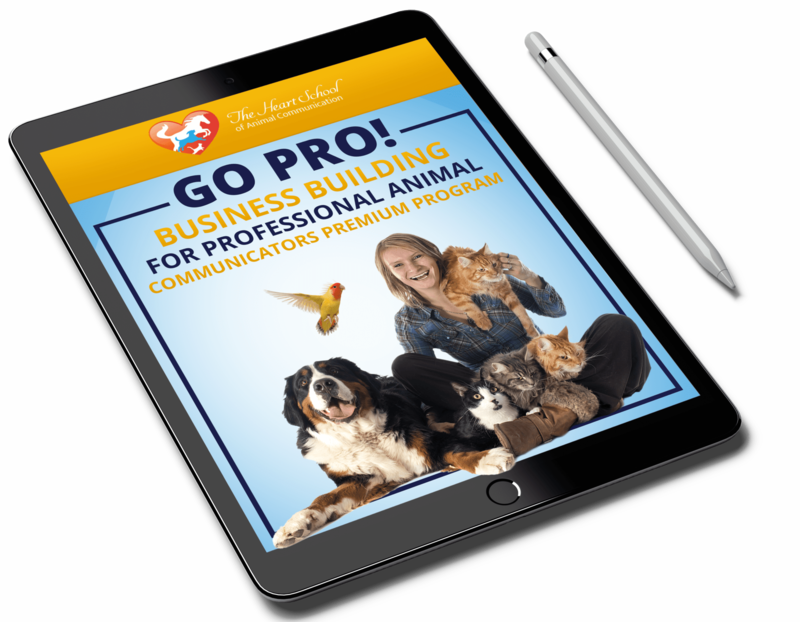 Here’s how to stop working for someone else and open your own professional animal communicator practice without going broke! Right brain intuitive skills are not the same skills as left brain logic and analysis. Technology, business systems, policies, marketing strategies, and procedures are the foundation of every successful business and this is especially true of psychics, healers and animal communicators. Your dream of making this your life’s work — to help animals by being their voice — is, in fact, an important part of your purpose and destiny. All you need is the right guidance to make it happen. Change your life! Gain more clarity, boost your confidence, get unstuck with your pets while you have fun developing your intuition. One student said this 90 minute class helped her more than 5 years of therapy! How will it help you? Find out now! If you’ve ever felt walled off or that an animal didn’t want to talk to you, this wonderful course is for you. When you get stuck, it means you’re asking the wrong question, in the wrong time, in the wrong way. EVERY animal talk student needs to know how to facilitate a successful conversation with any animal, what to do when you get stuck or the conversation goes “off the tracks”. Learn which are the right questions to ask and what NOT to ask if you want to get results. This course is a student favorite. Find out why now! Do you know how to help an animal that is nearing the end of their life? How can you recognize their pain and suffering, and more importantly, how can you help them? 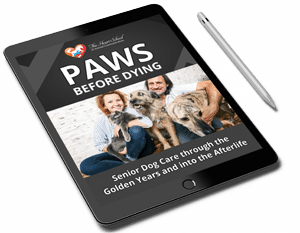 Do you feel confident and peaceful about helping them with lifestyle management changes, or in making the compassionate decision to euthanize? Once they’ve passed on, do you know how to reconnect with them in the Afterlife? If you answered No to ANY of these questions, then you NEED this heartwarming, informative, sweet and loving course. It’s not just for dogs. The principles apply to ALL animals. Kathleen Prasad, President of the Shelter Animal Reiki Association (SARA), and Val Heart co-taught this teleclass so we can teach you 3 important techniques you can use to improve your animal’s well-being and quality of life. 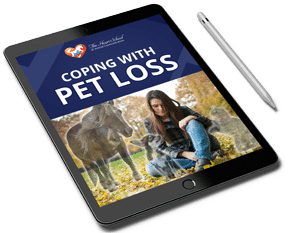 Easy to learn, anyone can help their animals feel better quickly. Soothe aches and pains the fun and easy way! Losing an animal companion can be a heartbreaking experience. You are not alone in your grief, and there are steps to take to help you find your peace again. Author Christine Davis and Val Heart teamed up to co-teach this wonderful, touching, inspiring and loving class. Did you know your animals often mirror you, your woundings, your illnesses, your imbalances? 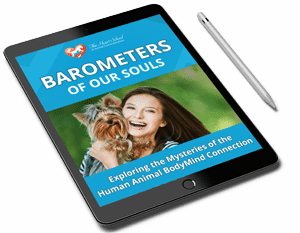 This is the Hidden Secret that less than 2% of all animal lovers know anything about… the Deeper Truth to building a new level of communication and understanding with your animal companions! Is your pet carrying your pain, acting out your stress or mirroring you in some way? If you don’t sort this out soon, what they “sponge” off you energetically could wind up killing them. Find out how to help them help you! 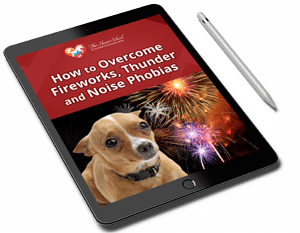 In this unusual and fascinating course for animal talk students (and professional communicators), you are about to learn how Val goes about solving noise phobia problems with animals of all kinds. The symptoms may look the same, but the causes are unique and varied, and until you know where to look to solve the problem and bring peace to your stressed out pet, they are in danger. Remember, your animal’s life, health, well-being and happiness depends on your ability to understand their messages to you, every day. By starting to learn now, you’ll be there for them when they most need you to hear their voice. No questions, catch, tricks or hassle. AND, we’ll still be friends. Remember, your animal’s life, health, well-being and happiness depends on your ability to understand their messages to you, every day. By starting to learn now, you’ll be there for them when they most need you to hear their voice.